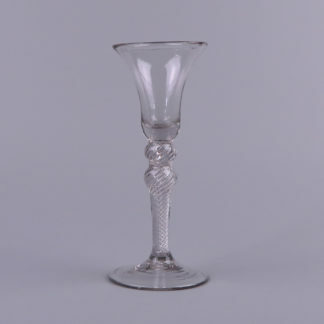 Home / Shop / Glassware / Silver and Cut Glass Wine Decanter – Flagon, Belgium circa 1900. 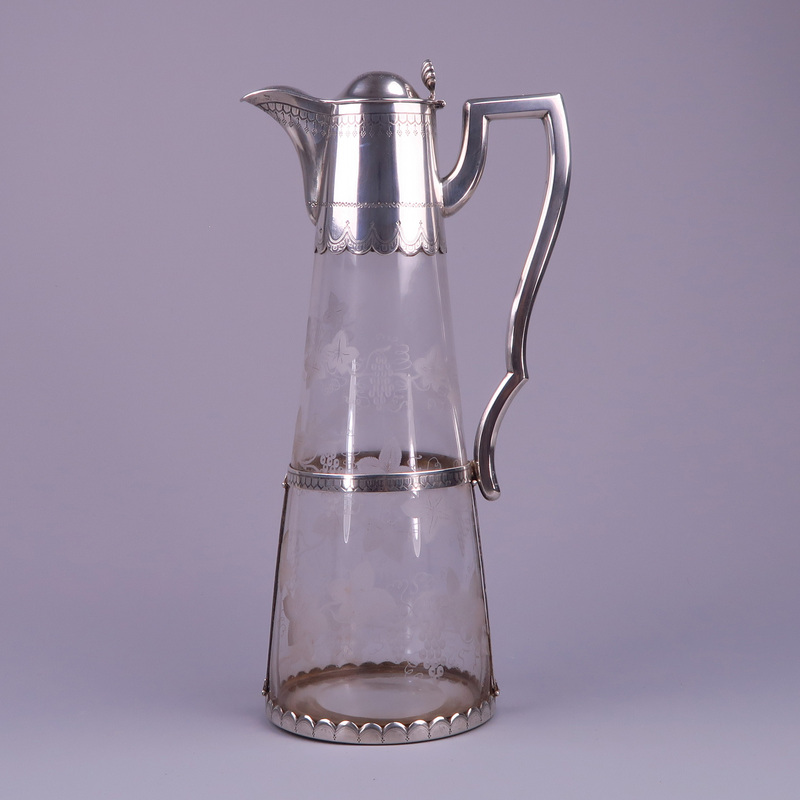 Silver and Cut Glass Wine Decanter – Flagon, Belgium circa 1900. A Silver and cut glass wine decanter – flagon, Belgium circa 1900. 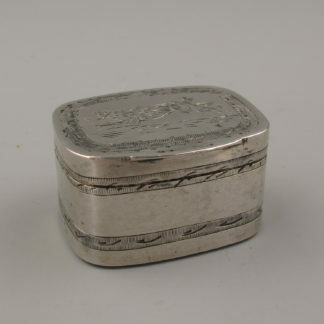 Silver mount has been engraved all around. The glass has been beautifully etched and cut with wine ranks and grapes. 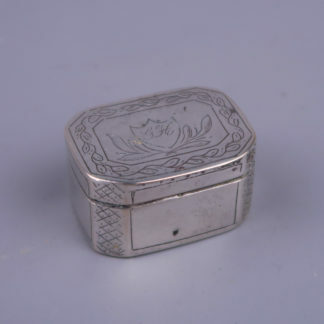 Hallmarked 900 and a makers mark, small B in a large B. 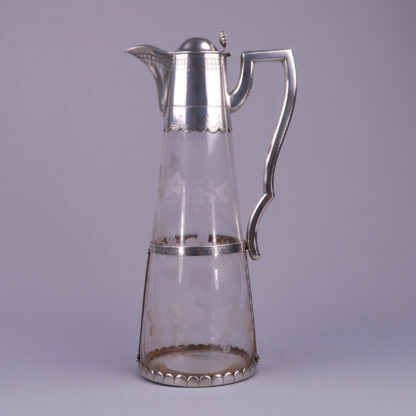 The decanter is 30 cm high and 15,5 cm wide. Total weight is 780 Grams. Overall in a very good condition, no repairs or damages.